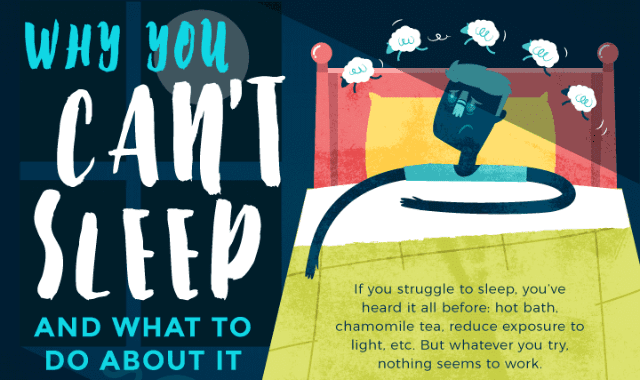 Why You Can’t Sleep and What to Do About It #Infographic ~ Visualistan '+g+"
If you struggle to sleep, you've heard it all before: hot bath, chamomile tea, reduce exposure to light, etc. But whatever you try, nothing seems to work. Maybe it's time for a whole different approach.